Just wanted to take a moment to wish all of my followers, friends, and customers the most blessed Easter! I am truly blessed to have all of you in my life! Today I am sharing with you a few quick Easter projects that I made for the family! 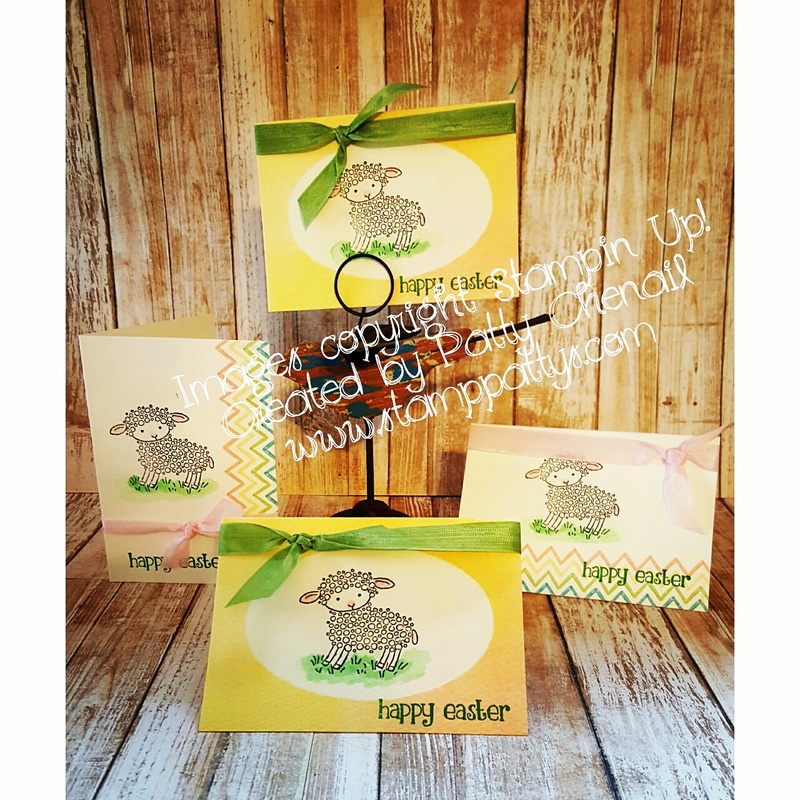 It showcases the single stamp called, EASTER LAMB from the Occasions 2016 catalog! I had a few old note cards hanging around and they were perfect for my needs. Combining something old with something new makes me happy. I hope you all get an opportunity to enjoy this wonderful day with your families! God Bless!